Working alongside her custom knifemaker husband, the love of design couldn’t help but rub off on MJ. Thankfully, she’s been getting lots of encouragement to pursue her interests by many in the knifemaking community as well. 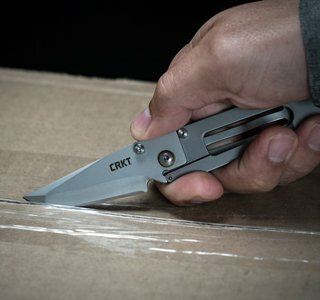 Having run the business, she knows her way around the machine shop and now uses the tools for her own designs, like the CRKT® Synergist™ knife. Matthew is left wondering when he’s going to get his turn on the machines.